Actress and Activist Freida Pinto, who is already known from the films «Slumdog Millionaire», «Trishna», «Rise of the Planet of the Apes», «Desert Dancer», joins the Wild Edens project as its ambassador. Wild Edens is a series of documentaries about the world’s most remote corners which brought to the audiences by Rosatom and broadcast by National Geographic. 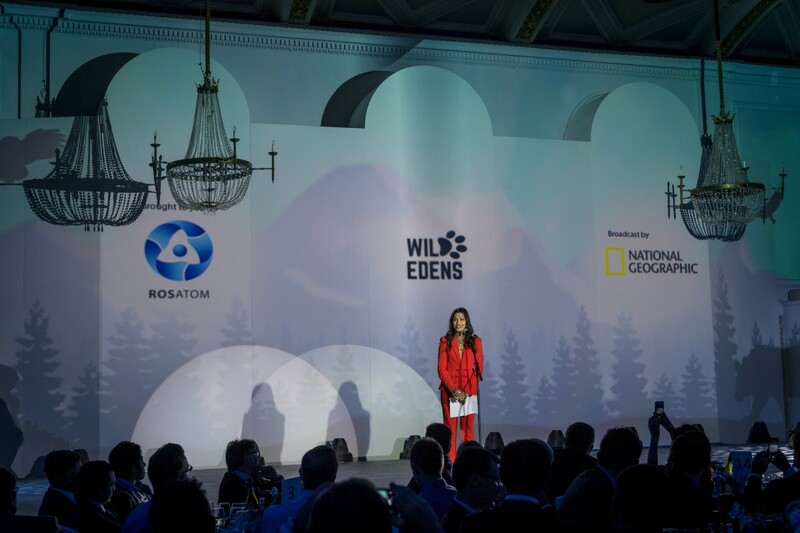 In her speech Freida marked that she is very proud to be a part of Wild Edens – a wonderful project, which highlights the importance to preserve the pristine environment at a time when climate change issue is acute. «Wild Edens is important not just because it shows the beauty of a natural world hidden from most human eyes. The producers traveled to the most remote areas of the world to capture these pristine environments and the result is truly beautiful. But just as important is to highlight in a very touching way just what we risk losing if we don’t pay attention to the threat of climate change to our environment». Wild Edens sheds light on the crippling effects that global warming has on Earth’s fragile and delicate ecosystems – and the flora and fauna that we may irreversibly lose if we don’t lower our collective carbon footprint. Kirill Komarov (First Deputy Director General for Corporate Development and International Business, ROSATOM): «Freida is a genuinely compassionate person, who throughout the years has supported a whole host of sustainable development causes, including the UN Global Goals campaign». «As I educate myself further with the help of Wild Edens how green energy is part of the solution to climate change, I am truly excited to use my platform to spread this message, giving humanity a fighting chance to play its role in saving our planet», said Pinto. Freida Pinto has been involved with Girl Rising for 4 years. The movement is focused on creating behavioral changes towards the way girls are viewed in many parts of the world by helping them get an education and through the use of the visual medium – storytelling.